Tiumph motorcycles have been popular subjects for custom builds the world over, and in 2019 the British brand is launching a fully factory-backed custom offer. Although Triumph has made custom versions of its bikes before, now the business is going global, with 750 unique, numbered bikes to be launched of each factory custom design. 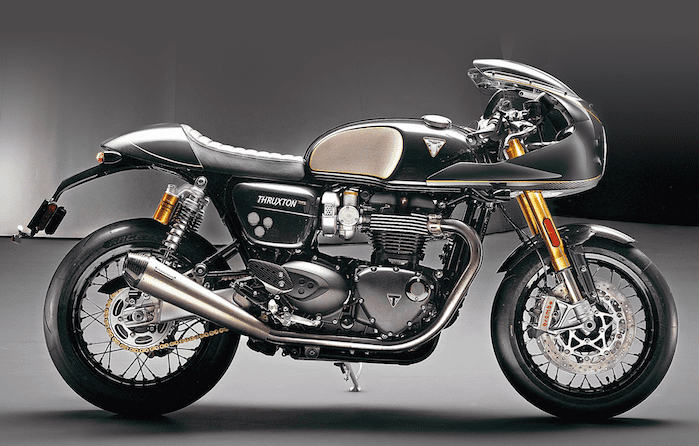 The first Triumph to get the factory custom treatment is the Thruxton from the Bonneville range. 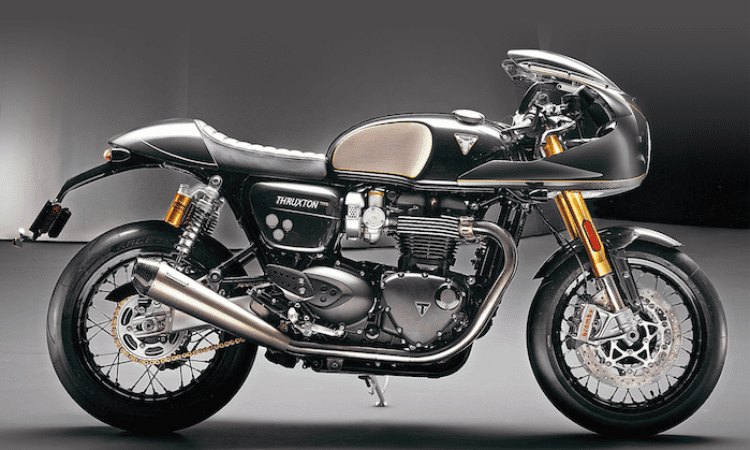 The new Thruxton TFC will up the game in performance, technology, engineering, specification and finish. At 105bhp, it pumps out 10bhp more power than the standard Thruxton R, thanks to significant engine upgrades, including lighter components, high compression pistons and revised ports and cam profile. Torque figures aren’t shabby either, peaking at 85lb-ft.
Lightweight carbon fibre bodywork includes a one-piece cockpit fairing, front mudguard, seat cowl, heel guards and silencer end caps. Exquisite detailing continues with billet machined aluminium top yoke with TFC branding, brushed nickel mirror centres, tinted screen, real leather seat with stitched detailing, and billet machined aluminium oil filler cap. When it comes to colour, black is the name of the game. There’s black anodised wheels, black Öhlins RSU springs with black decals, black engine covers and a black tail tidy. Given the amount of black components, it comes as no surprise that the one colour scheme available is, oh yes, black (with hand-painted gold lining). 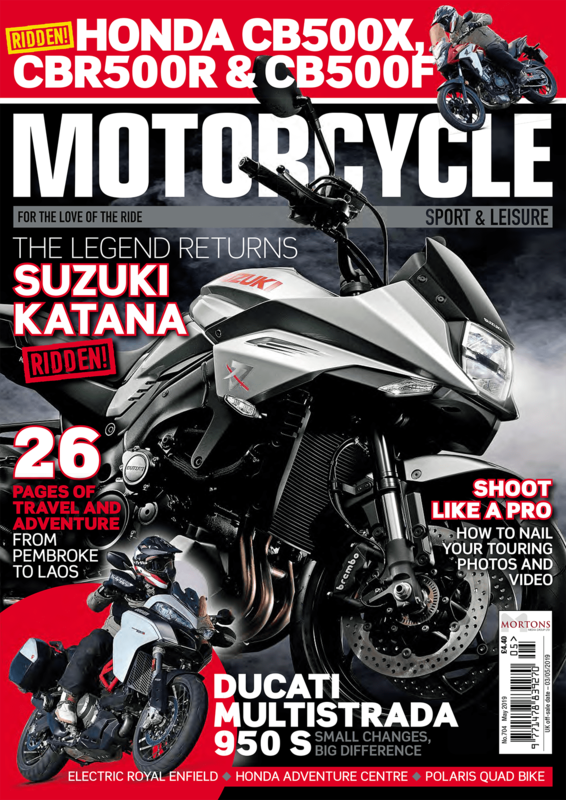 Read more about how Triumph is going custom in the April issue of Motorcycle Sport and Leisure, out now!